What a delicious morning! 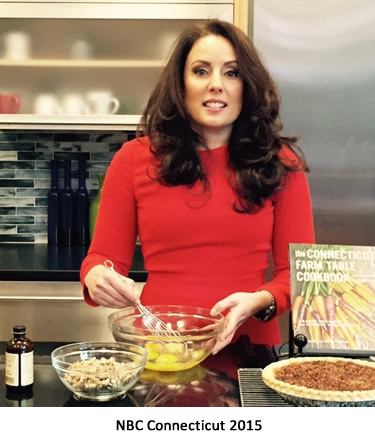 I stopped by NBC Connecticut to do a cooking segment on their "Taste of Today." So much fun making a Honey Black Walnut Pie with Kerri-Lee! The Willow Bristol Double Tree by Hilton contributed the recipe for The Connecticut Farm Table Cookbook!